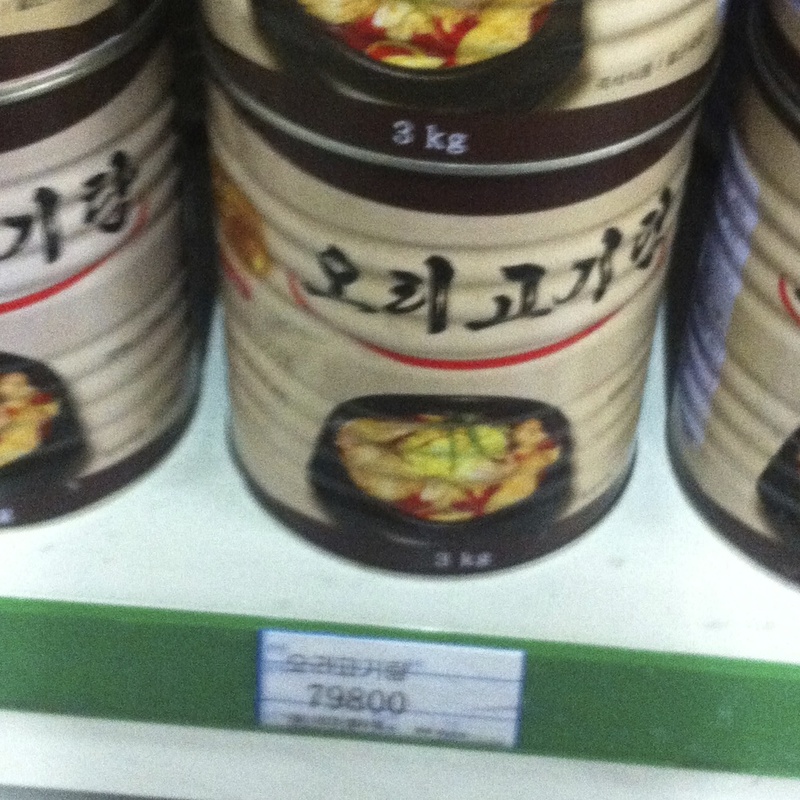 Some Things You Can Buy in Cans in the DPRK — Choson Exchange - Visit North Korea & Support Local Entrepreneurs! 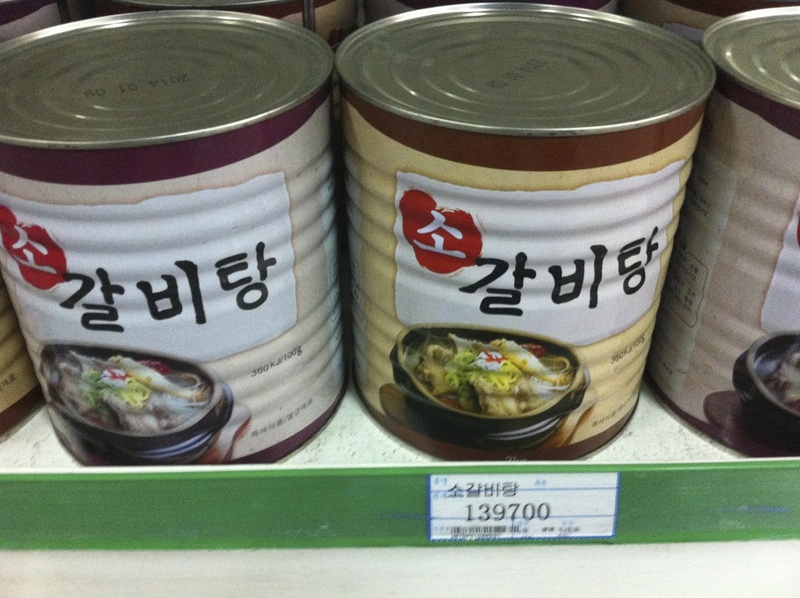 Canning: so important, one of Singapore's major colonial-era forts is named after it. Canning: such a robust method of food preservation, some cans have been shown to hold off microbes for over a hundred years! This is over 5000 times longer than the British could hold that fort against the Japanese in World War II! 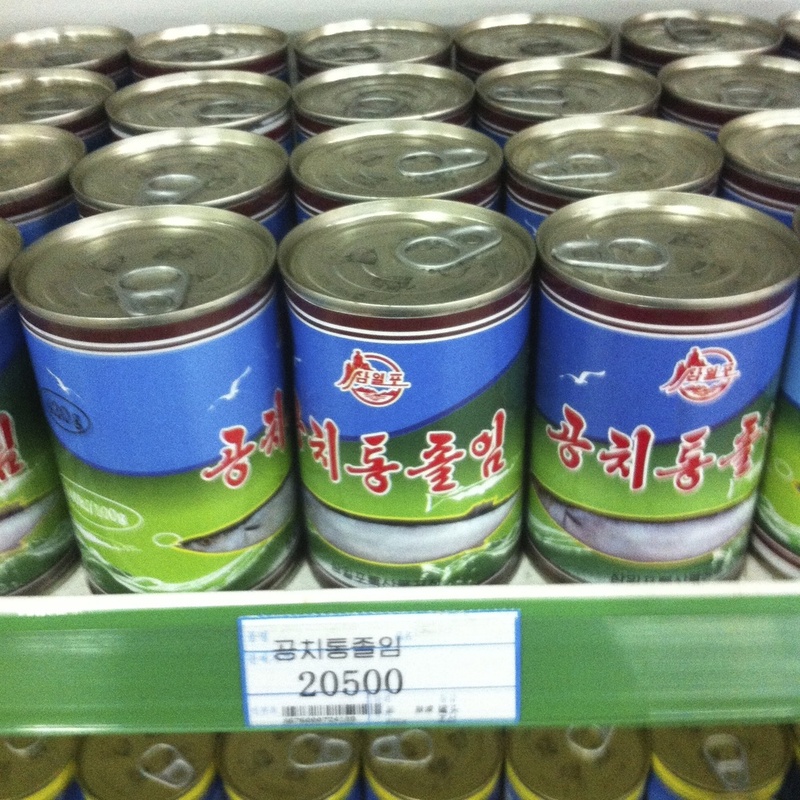 Canning: more processed food products than ever are showing on up North Korean shelves. Below are a few that you might care to try. You've got fantastic selection of chicken, fish, pork, duck and beef rib stew. 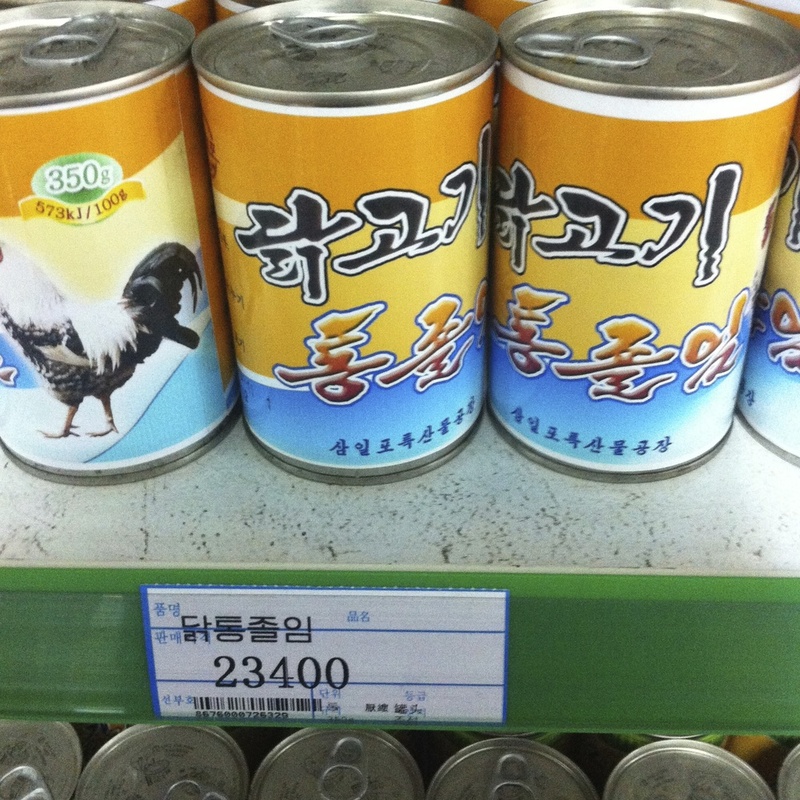 We would've tried some, but didn't have a can opener. Or really the desire. 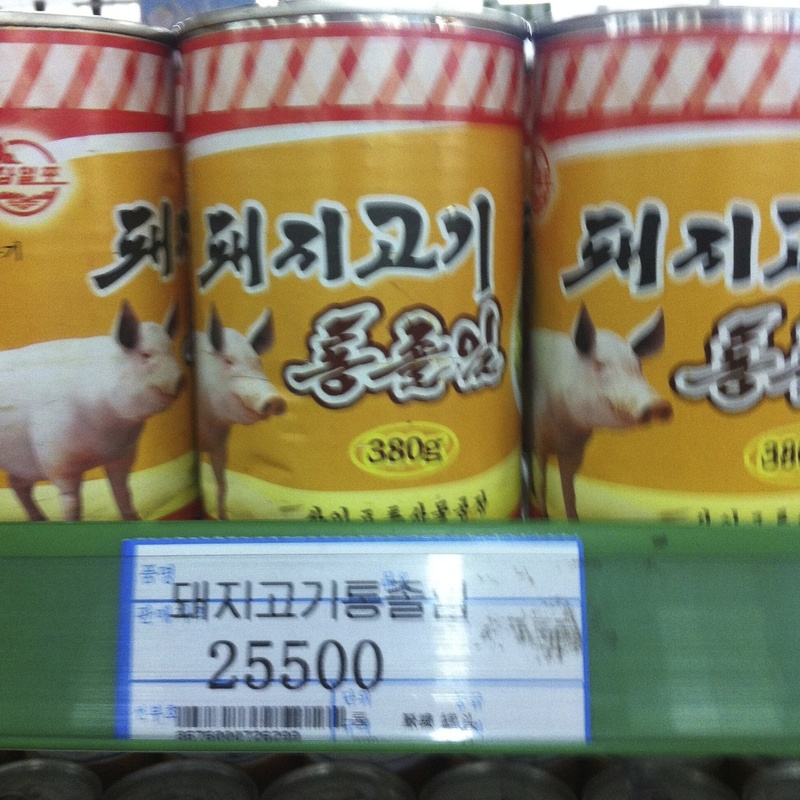 Canned fruits are also available....and we haven't really tried them, either.